Our purpose is to immerse ourselves in nothing, to do nothing, and to be nothing. But nothing is the most important thing of all. What God is, is not our concepts of God. We understand that which is useful in life. We don’t understand the ultimate importance of the useless function of God; the nothing function of God. It’s our connection to God, to this endlessness, this nothingness, to this which we cannot understand, we cannot grasp, we do not know. Our connection to this which is characterized by love, and complete and profound acceptance. Sheila begins with the connection of mindfulness to the cycle of Jewish holy days, being immersed in the embodied experience of the intentions arising in the practice of each holy day. Sheila teaches that Torah has a sense of being a path of well-being and peace, leading to an understanding that creates transformation. The Torah teaches us to let go – let go of that which impedes our ease, our mindfulness, our connection to the Devine. Jordan discusses how normative Jewish practice is a spiritual practice resonant with mindfulness of the moment-to-moment experience of the normal course of events. He tells the Torah story of the spies returning from Canaan, focusing on how it illustrates the reality of human experience and the importance of remembering (mindfulness), and that our actions should be based on investigation and wisdom, not on our fears and delusions. This allows us to remember who we are: remembrance as the sharp focus of attention, embracing concern and involvement, active, not passive. In this talk Rabbi Jeff Roth explains how what the midrash says about the nature of our suffering and the relationship between thinking, desiring, awareness reveals a path to resolving tremendous suffering. In contemporary Jewish meditation the Divine is a reference to the interconnected unity of all being. This talk unfolds this metaphor and points out obstacles that occur in “small mind” that aggrandizes the self and cuts one off from unity, compassion and loving-kindness. A set of practice instructions proposes processes to turn the obstacles into compost for spiritual growth. Reflection on what we seek to remember in practice, developing the capacity to see which stories serve to develop wholesome qualities and reduce suffering. The center of the talk is a tour through the Jewish year, interpreting each holiday as a form of retreat practice and the opportunity to awaken and develop heart qualities. 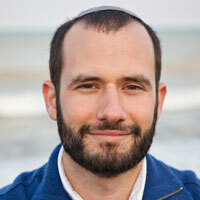 Rabbi Jeff Roth discusses how to relax into both your meditation practice and your daily life, and what gets in the way. In this talk from the 2005 winter ECAMP retreat, Norman uncovers the complementary relationship between faith and experience. This 12 minute clip will nourish and ground your curiosity… What is this life? Another opportunity to wake up. In this talk, Rabbi Joanna Katz names and gives real-life examples of the obstacles that prevent one from being truly present and consciously with G-d. The beginning part of a talk given at the 2005 winter Elat Chayyim Advanced Meditation Program retreat, Norman aids the listener in delving deeper into seeing the true meaning and opportunity of life. The beginning of a talk (click here to listen to the next part) given at a 2005 ECAMP retreat, Joanna reflects on the isolation, attachment and judgment that prohibits us from experiencing a truly free and peaceful happiness. Joanna uses the Shevah Brachot (seven blessings traditionally said at weddings) as a way of encountering the true happiness that God (and we) wish for ourselves.